Triamcinolone acetonide extended-release injectable suspension (Zilretta, Flexion Therapeutics, Inc), the first and only extended-release, intra-articular injection for osteoarthritis (OA) knee pain has been approved by FDA on basis of data from a phase 3 randomized, double-blind clinical trial involving 484 patients with OA knee pain at 37 centers worldwide. 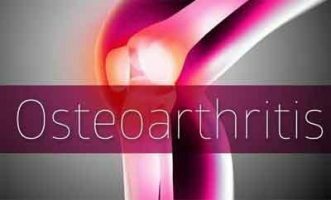 Zilretta (triamcinolone acetonide) is a sustained-release corticosteroid polymer (PLGA) formulation intended to provide persistent concentrations of drug locally to amplify the magnitude and prolong the duration of pain relief in patients with osteoarthritis of the knee. ZILRETTA is formulated using proprietary microsphere technology combining TA with a polylactic-co-glycolic acid (PLGA) matrix. ZILRETTA received Fast Track Designation from the FDA. This designation is given to a drug in clinical development that is intended to treat a serious condition and addresses unmet medical need. Implicit in the definition of unmet medical need is the potential to provide a benefit over that observed with available therapies. Indication: ZILRETTA is indicated as an intra-articular injection for the management of osteoarthritis pain of the knee.